The OCMX™ is pleased to announce the listing of Kwilt Inc. to its online portal which offers Investors and Advisors the ability to participate in this opportunity. TORONTO, ON, May 20, 2018 /24-7PressRelease/ — Kwilt is set to become the largest consumer photo and video aggregation and management platform in the world. Unlike other storage platforms, Kwilt offers unlimited photo and video storage and is both brand and platform agnostic. Kwilt’s Shoebox device creates a personal cloud where consumers can offload photos and videos from their smartphones and still access their personal content anytime, anywhere. Kwilt turns a consumer USB keys and hard drives into their own personal cloud. In addition to its own device the Kwilt software is currently embedded in over 2M routers with plans to expand the OEM channels to storage manufactures, set top boxes and other Smart Home devices. The OCMX™ has spent considerable time completing its due diligence on Kwilt Inc. and concluded that there is indeed a tremendous opportunity for Investors and Advisors. The OCMX™ noted that Kwilt Inc. exhibits the main components of any solid investment opportunity, namely a solid management team, a great track record, and a number of key competitive advantages. Marc-Antoine Benglia, CEO | A seasoned technology product developer and marketer, Marc-Antoine is co-founder and Chief Executive Officer of Kwilt Inc. Before co-founding Kwilt, Marc-Antoine was CEO of Axentra, the leading provider of home server platform. Benglia’s role at Axentra was focused on product strategy, innovation and business development, bringing to market the very first consumer home server that won wide industry adoption for over 10 years with such OEM customers as Seagate, Lenovo, Verbatim, Linksys and Netgear amongst others gathering key awards. Prior to leading Axentra, Marc-Antoine was President of Hemera Technologies Inc., a leading digital image content provider and digital image management tools developer he co-founded in 1997. During his tenure at Hemera, Marc-Antoine established one of the largest collections of digital images in the world, amassing more than 1.5 million digital image files sold through web, catalog and retail channels worldwide. Sylvain Lambert, CMO | A Creative Director and branding expert with over 20 years of experience in the field of high- technology, Sylvain is Chief Brand Officer and a founding member of Kwilt® Inc. where he focuses on implementing his vision to design and market the best personal memories solution for consumers. Prior to Kwilt, Sylvain was Creative Director at Axentra Corporation (2005 to 2012), allowing him to gain a solid experience in desktop, web and mobile interface and UX design. From 1997 to 2004, Sylvain was Creative Director at Hemera Technologies Inc., a leading digital image content provider, developing, creating and managing multiple brands like the popular Photo-Objects, Big Box of Art (the largest clipart collection in the world) and AbleStock (the first professional stock photography subscription website) among other digital asset properties. Mostafa Hosseini, CTO| Mostafa Hosseini is CTO and founding member of Kwilt, overseeing the architecture of the Kwilt software ecosystem and coordinating the integration of the broad range of underlying technologies that power Kwilt as well as the deployment of the Kwilt MediaCaster embedded modules on various hardware platforms and architectures. Prior to Kwilt, Mostafa was Chief Architect at Axentra Corporation which he joined in 2001. There he actively contributed to develop many facets of the intellectual property of the company. 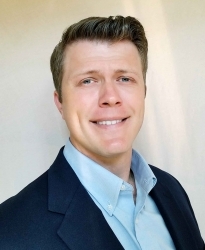 He has experience in a wide range of software deployments from his past work, including telecommunication, software protection, software for embedded devices and simulation.